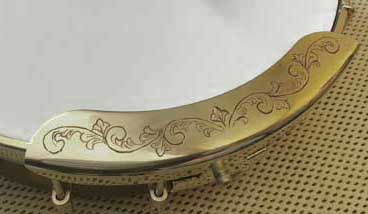 I have known Lynn's wife, Donna, since the 1980s when we worked together near Chicago. 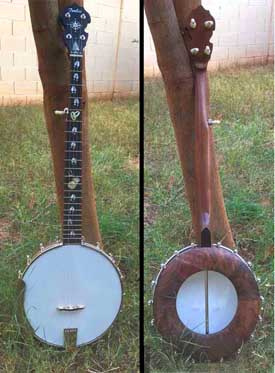 When her husband Lynn retired, we dreamed up this custom banjo. 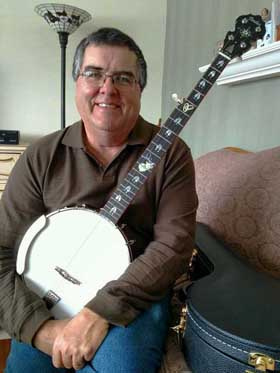 Lynn is an outdoorsman who worked as a surveyor and worked for the US Forest Service. 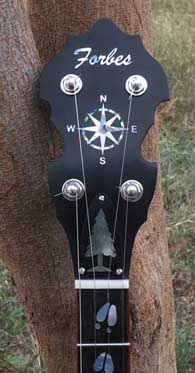 The compass points on the peghead stand for his work as a surveyor. 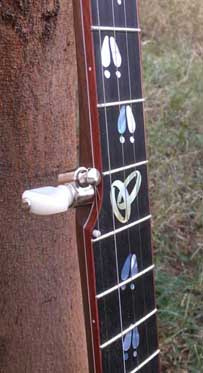 The pine tree on the truss rod cover is from the US Forest Servivce logo. 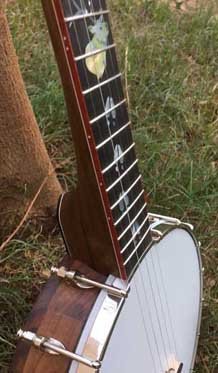 The wedding rings on the fifth fret represent their marriage. 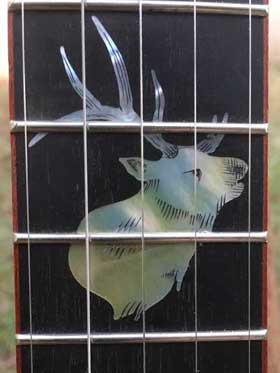 The elk head and tracks stand for his love of hunting.